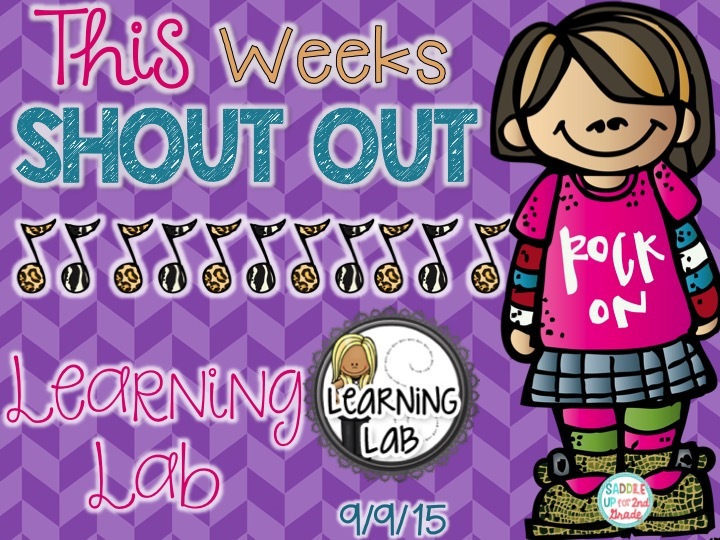 Stand Up and Shout Out: No More Behavior Chart Clutter! Hey Ya’ll! 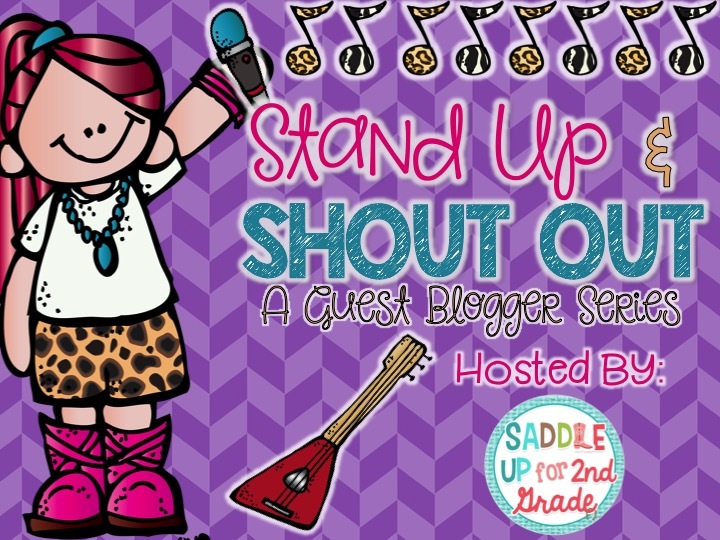 Welcome back for week 2 of the Stand Up and Shout Out guest blogger series! 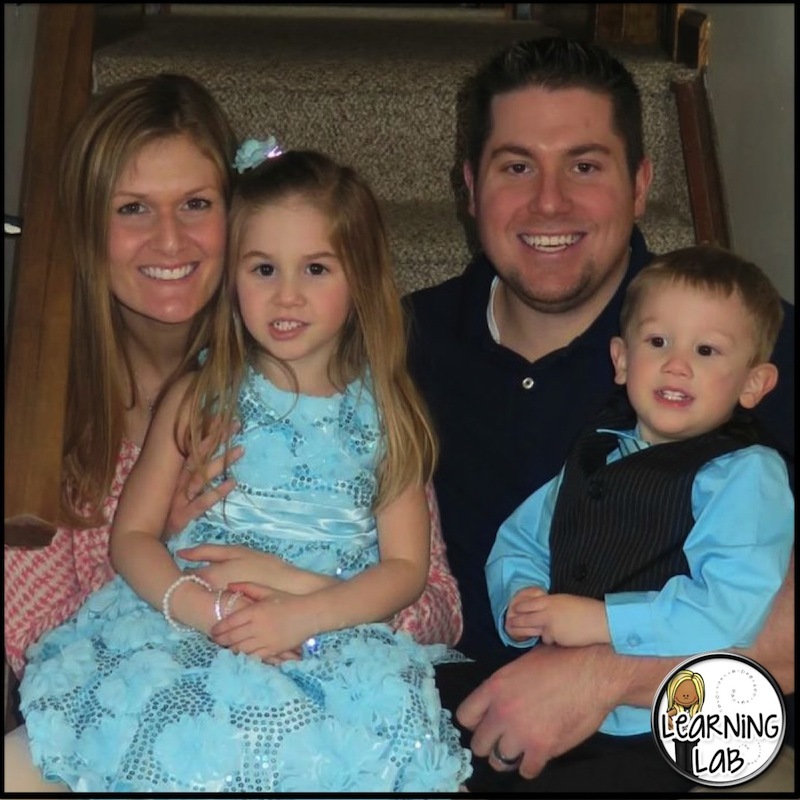 This weeks teacher rock star is Nicole from Learning Lab. Nicole is a super sweet friend of mine who I’ve come to know over the past few months. She has helped me so much on this new journey of mine as I become a new mom. If you haven’t already checked out Nicole’s blog Learning Lab, you need to go do it NOW! Well, after you read her post! She is full of awesome ideas that you do not want to miss out on. Today, she is going to be sharing some good info with you about those behavior charts that we all have a love hate relationship with. Like most of you, I have a love-hate relationship with behavior charts. I LOVE them because I have seen them make a huge difference in the behavior of some kids. I hate them because I hate clutter. I like to keep behavior charts because they can show me patterns. Maybe a student always has trouble on Tuesdays. Maybe most of their behaviors come out on days they do not have Occupational Therapy. It is so much easier to recognize patterns when I can see the data. But, I like to send behavior charts home. Parents need to know what is happening in school and often, the parents I work with have worked out a home consequence for good/bad days at school. It is so wonderful when I get to work with dedicated and supportive parents! 1. Make copies each day before sending home so I can keep a copy for my records. This choice is terrible because I need to waste precious minutes during the most hectic time of the day to go to the copy room. Not to mention, I would be killing so many trees! 2. Send the original home and have the parents sign then return. Well, this is terrible because sometimes the behavior chart doesn’t come back and I lose that day’s data. Also, it prevents the parents from being able to try to keep track of patterns. And what about the parents that want to celebrate a GREAT day by hanging that puppy on the fridge? 3. Chart the results of the day’s chart. I used to have a table set up where I would enter the number of points a students would earn for the day and a small note. It was never enough to really get a picture of what happened during the day and I was always having to tuck pieces of paper with notes in the back or make a copy of chart on really bad days. 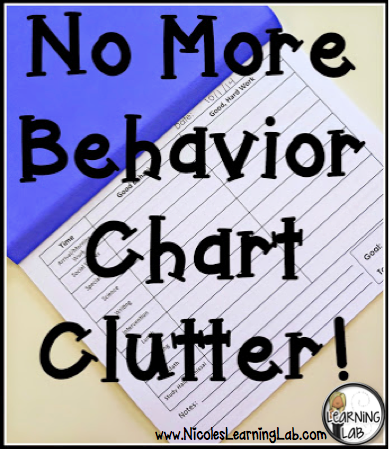 No matter what method I tried, I always ended up with a huge pile of unorganized behavior charts from multiple kiddos because who has time to organize them into a binder right away? Not great choices. But that is what I’ve done for YEARS! Another thing I have done for YEARS is have a home-school journal with some kids. Each day, I would write a short (or long if it was one of those days) note home to parents. Each day, the book would come back. That notebook held a wealth of information! Hmmm… That got me thinking! Ta-da! I just took a bunch of blank behavior charts and bound them into a book! Then, the book can go back and forth between school and home. There is a wealth of data in one place and I don’t have to worry about organizing loose papers each day. It is simple (I like simple) and it solves my problem (I LOVE that!). 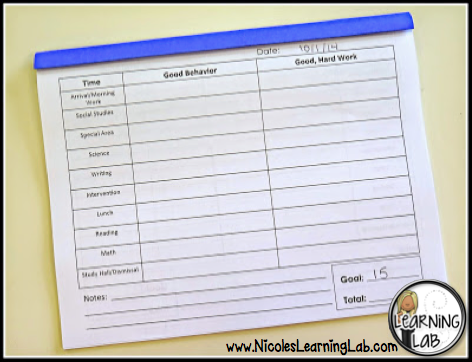 To see some of the behavior tools I have used in my classroom, check out my TpT store. Nicole lives in Upstate New York with her husband and two (almost three) kids. She is a special education teacher that works with students in 4th-6th grades. She has worked as a self-contained teacher, a push-in provider, and in inclusion classes. Co-teaching has been her favorite type of teaching, so far. Nicole also creates special education resources that ALL teachers can use for her TpT store, Learning Lab. You can find more ideas from Nicole on her blog or on Instagram (@Learning_Lab).